They might try to control Ripple. They can't control the XRPLedger however. Not sure what that would mean for xRapid though. Europe is looking for a SWIFT alternative and one of their reasons is because the US holds to much power over SWIFT, since the US can actually force SWIFT to block transfers to a specific country. In this case that would be Iran. Europe still wants to do business with Iran though. Which might affect xrp price more - XRapid or XVia? Didn't read much into xVia yet, but as I understand at the moment it is basically a GUI for corporates that plugs into xCurrent and xRapid and automatically chooses the cheapest way of transferring the money. Ain't the whole security issue just in the US? Even if its a global issue, wouldn't they just prohibit normal people like you and me from trading XRP on exchanges? I don't see how it would harm xRapid. Words coming from a SWIFT director...did u expect him to praise a competitor? If they had such a strong case, I doubt it would be dismissed already. As for the ruling, we still have the other cases right? 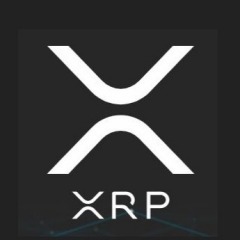 Het blijft toch nu.nl...Dezelfde site die weet dat het XRP is in plaats van Ripple maar het toch Ripple blijft noemenomdat "de artikelen toegankelijk moet blijven" voornamelijk omdat "Ripple bekender is dan XRP".